With six fewer days between Thanksgiving and Christmas this year, the highways are already busy with tractor trailers delivering merchandise to retailers, shoppers making gift runs, and families hitting the road or airports to travel “Over the River and Through the Woods” to Grandmother’s house. With all that moving around, it’s a given that someone will lose their smartphone or tablet. In fact, “One hundred thirteen smartphones are lost or stolen every minute in the US,” said Stephen Ebbett, president of lifestyle insurance company, Protect Your Bubble, in an interview on Fox Techtake. In a survey conducted by the company earlier this year, they discovered that people are most likely to lose their phones when traveling. Twenty-three percent of cell phones are left at the airport, 21.7% are left at hotels, 18% are lost or stolen on public transportation, or forgotten in a rental car (11.5%). Bennett spoke to Juraj Chrappa, senior product manager of avast! Mobile Security. Chrappa said that an AVAST survey conducted in June indicated that 25% of AVAST users, or more than 6 million people with mobile devices, had lost their devices or they had been stolen with U.S. consumers among those most likely to lose or have their phone stolen.The average cost of a smart phone is $372, he added. Some of the locating and theft-deterring features that Avast offers are included in free applications, available in avast! Free Mobile Security and the new Premium version, Chrappa said in the article. For example, a user can lock the device and also locate it on a map. The former can be done by sending an SMS message from another phone. To do that, the user must be able to get onto a personal computer and access the website myavast.com, log in and click on a “locate” function, Chrappa said. This method relies on the Global Positioning System chip in the smart phone. For certain recently added features, such as taking a picture of an unauthorized user and the ambient audio-recording, there is a fee of $1.99 per month or $14.99 per year, Chrappa said. An avast! 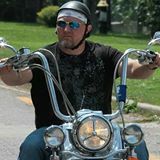 Mobile Security user, DuckyBoy from St. Louis, told us a story of how his mobile phone slipped out of his pocket when he was riding his motorcycle down a busy highway at rush hour at 60+ mph. You would think that it was beyond finding, but avast! Mobile Security was able to locate it. I didn’t know it when it happened. Got home, couldn’t find my phone. Used my Avast Mobile app to locate my phone hoping it was still working and it was!!!. It was in the median of Highway 55 not far from my home, and still rush hour. I drove my car over there and proceeded to get myself positioned close to where it would be. Waited about 10 minutes, still using the app via texting with my work Blackberry to locate the phone. I knew it was in front of me, but 4 lanes over! I got a break in the rush, ran over, yes, I did, and was 10 feet from it when I got to the median... LOL, my case had come off but only 2 corners got damaged and broke the glass. So, moral of the story, have a phone location service enabled on your phone. I highly recommend Avast Mobile Security! I used the pay version and its $15/yr, and so far, saved me hundreds on the first use! The free version has it too. So now I just have to buy some parts, clean off a table top once I get them and go to work! 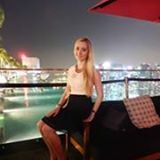 Thanks to avast!, my sister, Nicole, has gotten her smartphone back that had been stolen during an overnight bus ride on vacation in Vietnam. We received a text message from avast! with the number of the Vietnamese SIM card that has been put in the phone. The police called the thief and made him send the smartphone to the police station. The guy was 12 hours away from the city my sister was in as he got off the bus way earlier. Today, she picked up the phone from the police station. Quite frankly, it is a little wonder! That is my first positive online recommendation ever, but your service has definitely deserved that! Amazing! 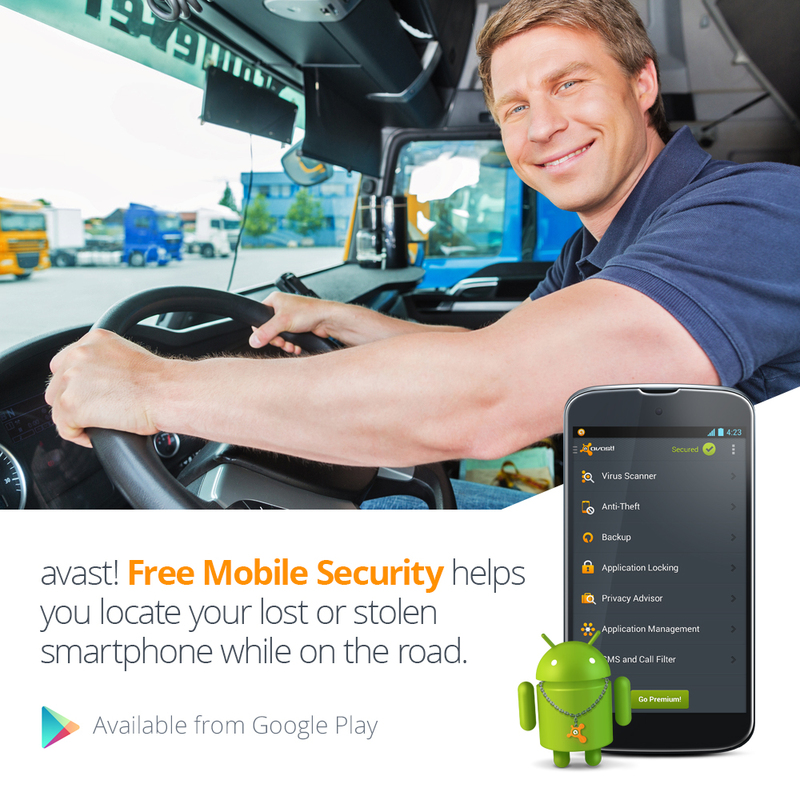 Protect your valuable smartphone all year long with avast! Mobile Security. It's a FREE download in the Google Play store and can be used stand-alone as a free version or upgraded to avast! Mobile Premium for access to all premium features. avast! Mobile Premium is available for $1.99 per month or $14.99 per year. Download and install on your Android device now.